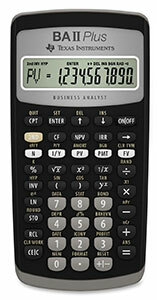 The BA II PLUS, our most popular financial calculator for business professionals and students. 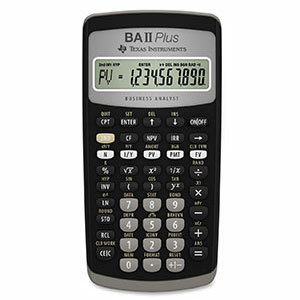 With Time Value of Money, uneven cash flow analysis, and advanced statistics, the BA II PLUS is perfect for applications in finance, accounting, economics, investment, statistics, and more. See the list of features to see why the BA II PLUS provides a great return on your investment.